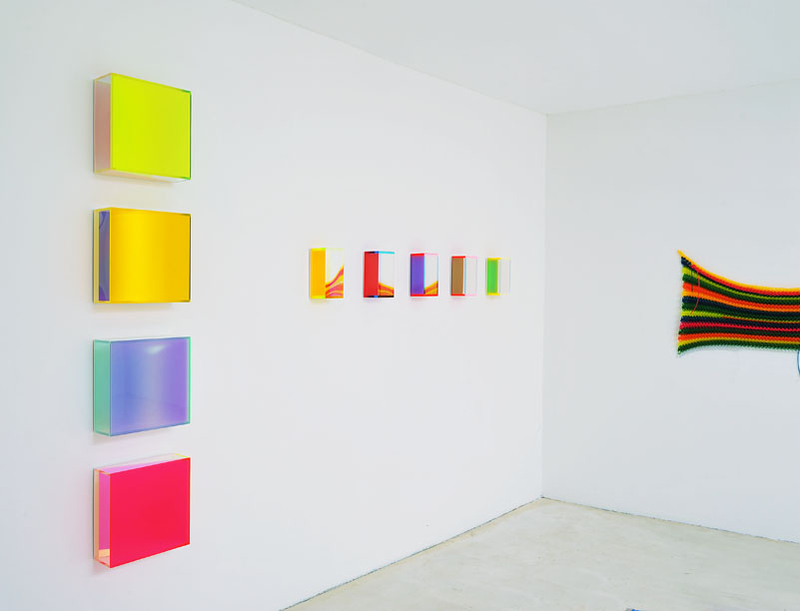 The work of Regine Schumann allows an exploration in the relationship between colour, light, form and room. Utilizing industrially produced acrylic materials, almost fluorescent acrylic glass sheets that under black light come alive and turn into luminous light objects, her coloured spaces change significantly the functional realities of the space and introduce possibilities of new experiences. 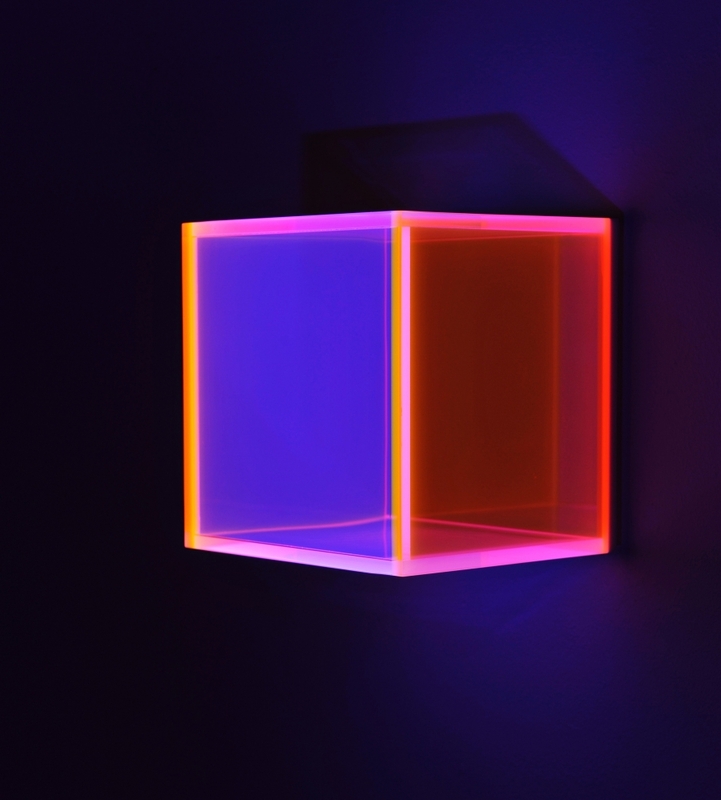 With references to minimalism and concrete art Regine Schumann’s light art create real colour rooms in atmospherically charged oscillations and generates almost physical palpable experiences. 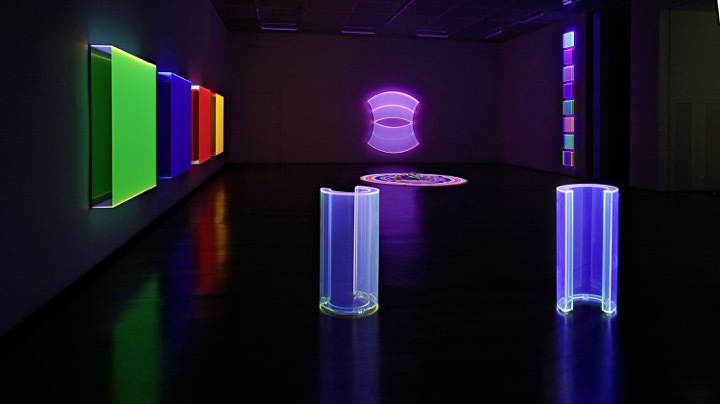 The chameleon-like transformations of her light objects, perceptible in different light moods as daylight, artificial light or black light enable an ever-changing viewing experience and accentuate the relation of colour, light and surrounding space, the synchronicity of visible and invisible, visible colour illumination and invisible inner illumination. Regine Schumann (1961) studied from 1982 to 1989 at the Hochschule für Bildene Künste Braunschweig art. In 1989 she was acknowledged as a master student of Roland Dörfler. 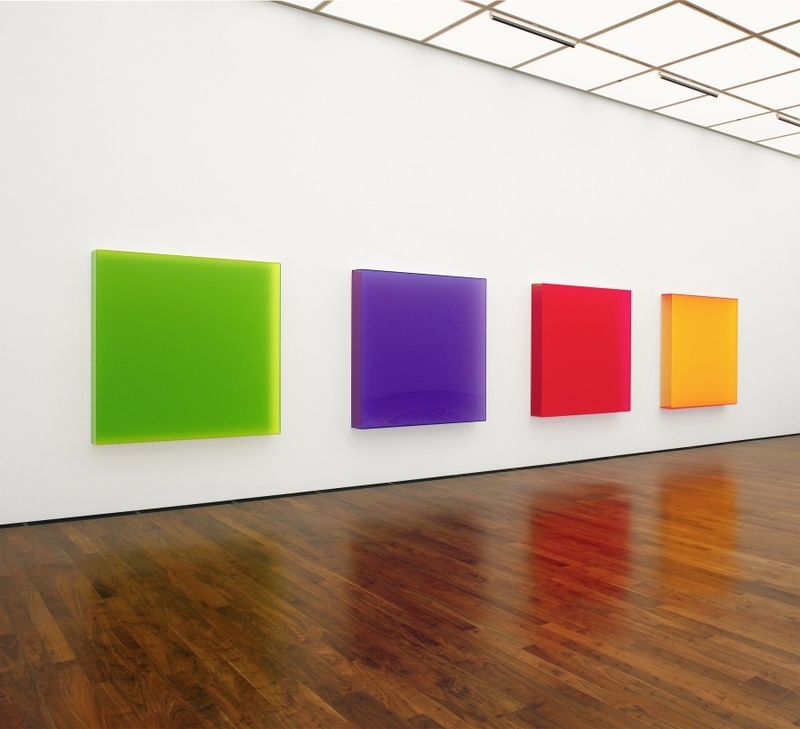 From 1986 to 1994 she was a member of the artist group Freiraum, consisting of Frank Fuhrmann, Dieter Hinz and herself. Aside of numerous scholarships (amongst others a DAAD-scholarship for Italy in 1990 and a grant from the state of North Rhine-Westphalia for Japan in 2000 and contracts for public art, she received the Leo Breuer Prize in 2006. Regine Schumann lives and works in Cologne. 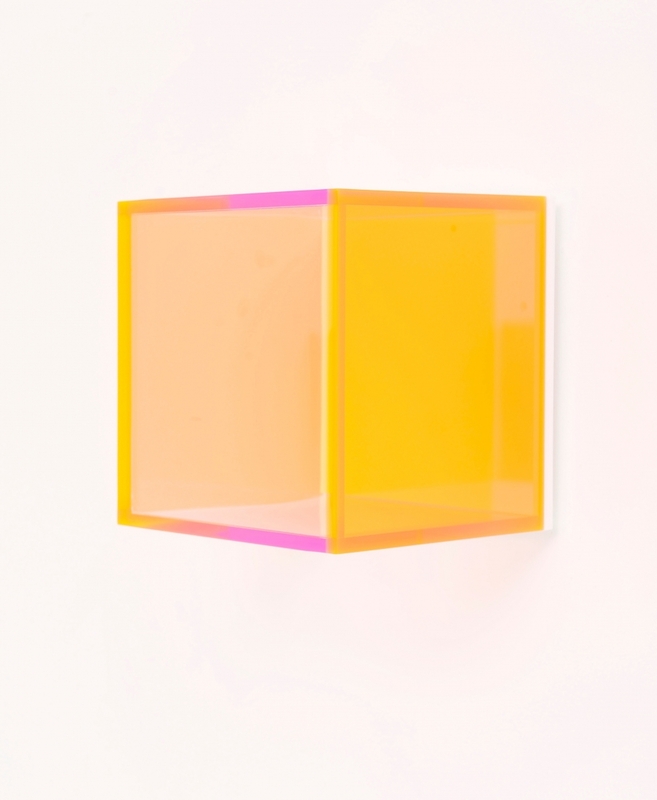 In her work Regine Schumann focuses on light effects caused by fluorescent materials. 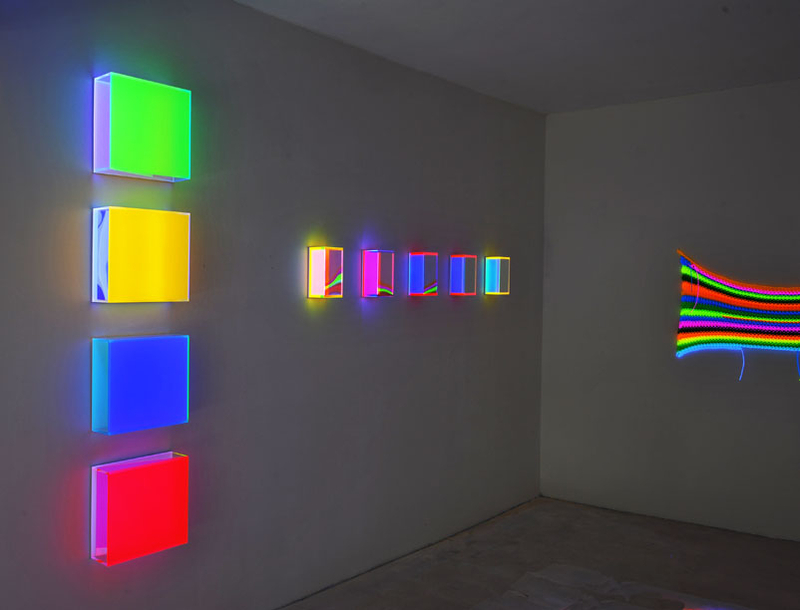 Some of the materials she uses are colored polylight-cords and different colored acrylic panels, which she composes into complex colour spaces in accordance to Goethe's theory of colours. The artist also uses blacklight to complement the other colours. The constant changes and effects of light is what fascinates the artist and what she focuses her room-specific installations and works on.